When no one expected such an announcement, an official word comes from none other than Nokia on their official Facebook page. The Nokia 6, Nokia 8 and many other smartphones are already out in the market but the little known Nokia 2 has been confirmed today. 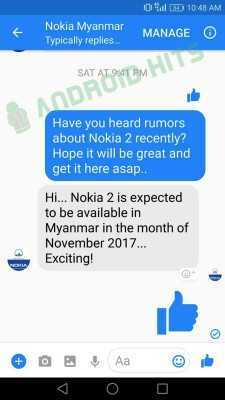 The news comes from the company’s Myanmar Facebook account where a representative revealed that there is indeed one such device in the making. Going by the statement, it is expected to get launched somewhere in the month of November this year. However, it may get launched in the least popular markets because the specifications suggest an entry level smartphone that is more of a feature phone. It doesn’t feature all the bells and whistles associated with most devices. If you are looking to buy a Nokia phone, the best thing to do is to go with the 3 or 5 which is priced moderately. They also have reliable specifications and will be able to solve all your Android needs. The rumored phone features a touchscreen display thankfully but doesn’t have any kind of button on the front area. Almost every phone released by the manufacturer so far had capacitive buttons on the bezel area but the Nokia 2 is going to be a button-less model. The smartphone will sport a 4.7-inch display which is very small considering the size of phones these days. Every other device sports at least 5-inches or 5.5-inches as the basic size. By getting rid of the capacitive keys, the designers have ensured that the surface area is not lost and all the basic actions can still be done using the touchscreen keys. 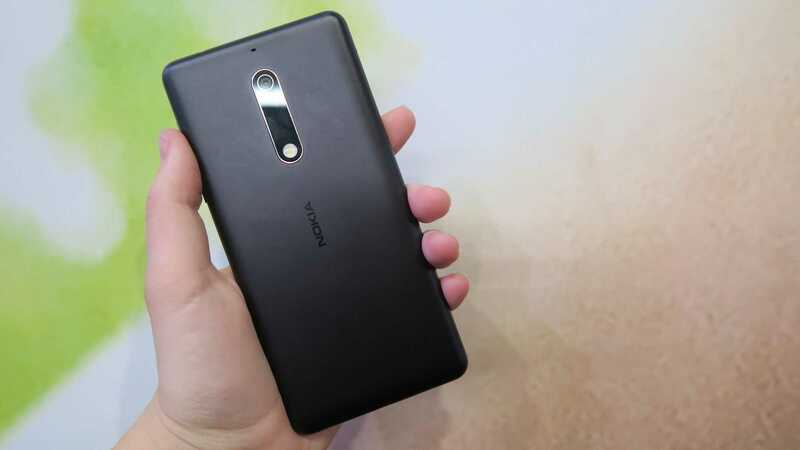 Under the shell, the Nokia 2 runs on a meager Qualcomm Snapdragon 210 chipset which is the least they could provide on a budget. Just don’t expect it to be snappy or quick to respond because the entire idea behind this processor is to offer the maximum battery life on a smartphone. Not so surprisingly, the phone has a huge 4,000mAh battery making it extremely reliable for those who are always on the move. Given the display size, chipset and battery used in the phone, it’s easy to predict that it should last 2-3 days on a single charge if used with minimal brightness. We are yet to confirm these things in the full review when the phone gets launched. The Nokia 2 is the only phone pending to get launched before the end of 2017 while there’s Nokia 9 that may get pushed to 2019.